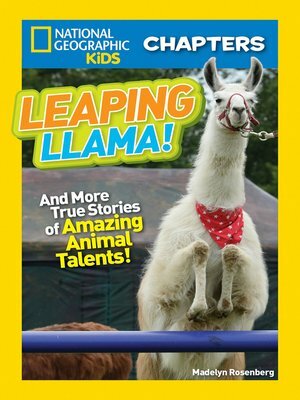 Jump into these three totally true tales of animals with amazing skills in this exciting and funny Chapter book! Meet a cast of wild characters: 007, a supersmart crow with a penchant for puzzles. Mack, a dog with a talent for beekeeping. And Caspa, a grumpy llama and record-breaking high-jump champ. These silly animal stories that are totally true. National Geographic Kids Chapter books pick up where the best-selling National Geographic Readers series leaves off, offering young readers who are ready for short chapters lively, incredible adventures and exciting, full-colour true stories, just right to carry in the backpack, share with friends, and read under the covers at night.